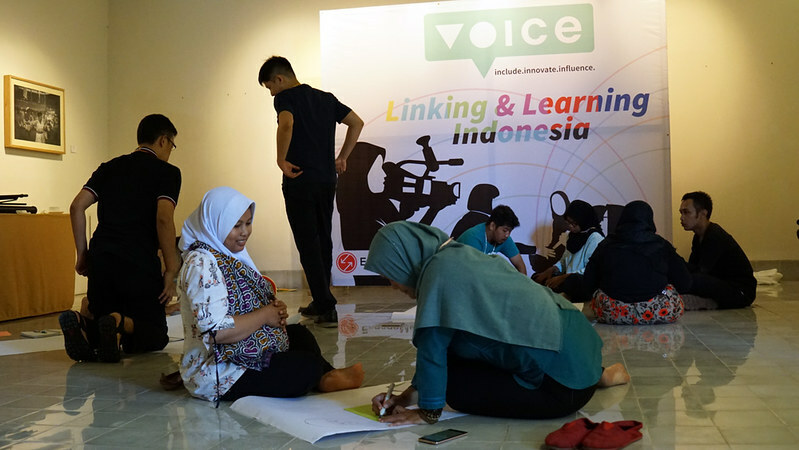 This report was first published in Voice Blog by Zack Lee, Linking and Learning Officer for Voice Indonesia and The Philippines with inputs from EngageMedia. 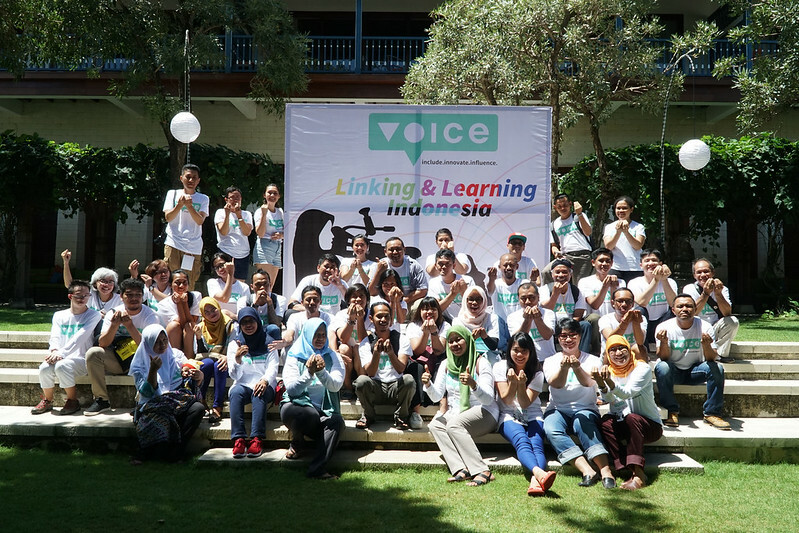 Voice Indonesia just had its first annual Linking & Learning (L&L) event last 15-19 April 2018 in Bali. 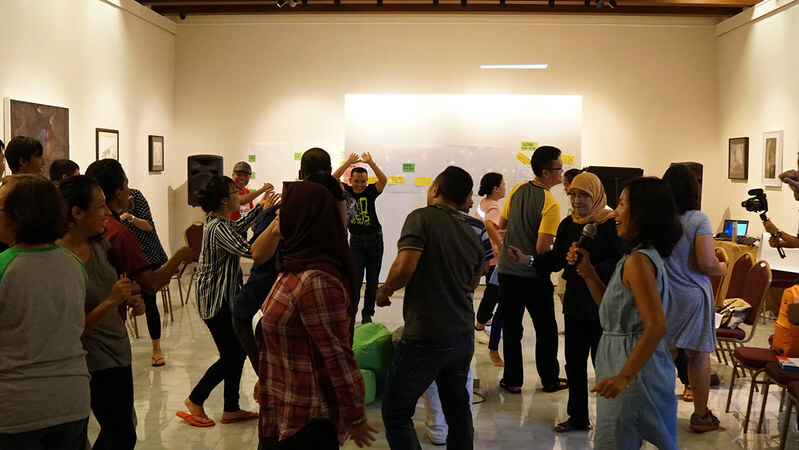 There were 38 participants, including representatives from all 15 Voice Indonesia partners, EngageMedia (the L&L facilitator), and the country team. It was 5 days packed with activities which started in the morning and on most days stretched into the night. Participants had many opportunities to learn from each other as well as share what they know. There were a handful of serious discussions about individual work and how everyone can move forward together. There were also lighter moments of fun and laughter, especially lots of dancing as energizers and icebreakers. Everyone had kind words to say on the last day. One person simply said "Wow!" when asked what their final thoughts were. Another said, "It's like a movie in my head that I keep rewinding over and over again." Looking back, it would have been presumptuous of me to say that I knew the event would be a success. But I knew it would. This does not mean I did not have my own worries. Certainly far from it. I wasn't sure if the program was coming together. I didn't know if all the details were ironed out. I had many questions in mind because I wasn't involved in the minute details of the planning as I have been before. I knew the L&L event would be a success because I knew everything works out in the end. We had a great team in EngageMedia who had organized similar eventsbefore. I knew they regularly communicated with grantees through calls and emails explaining what is L&L and what were the intentions behind the event. They continuously asked what the participants wanted to learn and what can the participants share with others. Plus early on, we intentionally adopted an open approach to the event. This meant coming to terms with the sense of ambiguity and imprecision that comes with relying on the participation of everyone involved to set the agenda. So at the end of the last day, I would have been surprised if the participants did not shed some tears of joy. They did. I would have been surprised if they were not effusive in their praise. They were. What surprised me though was that they felt INCLUDED. One participant said "This is what I want to have in my community." Another said, "This feels like being in a family." Inclusion is a bedrock principle within Voice. We commit to "Leave No One Behind". Yet, what does it mean in practice? More specifically, how did we apply it in planning and organizing the L&L event? Looking back, what were the steps we took to be inclusive? First is that we took inclusion and accessibility as defining criteria in the planning process. We looked at our current group of grantees and identified what kinds of disabilities did we need to accommodate. We asked EngageMedia to choose a location that was accessible to someone with a mobility impairment. This meant all rooms needed to be accessible by someone using a wheelchair. If not, the hotel needed to provided alternatives such as ramps for participants. We knew that a few participants are deaf or have a hearing impairment. We budgeted for at least 2 sign language interpreters. Similar to oral language interpretations, sign language interpreters need someone to take over in order for them to take breaks and rest. EngageMedia sent out a survey, which included questions on what other kinds of accommodations we needed to be aware of. Participants were also asked if they have any food restrictions due to health or cultural considerations. There was also a question on blood types in case of emergency situations. We even had a long discussion about the planned field trip and excursion on the 4th day. After three long days of sometimes very intense sessions, we wanted participants to have a bit of a break and time to bond together outside. 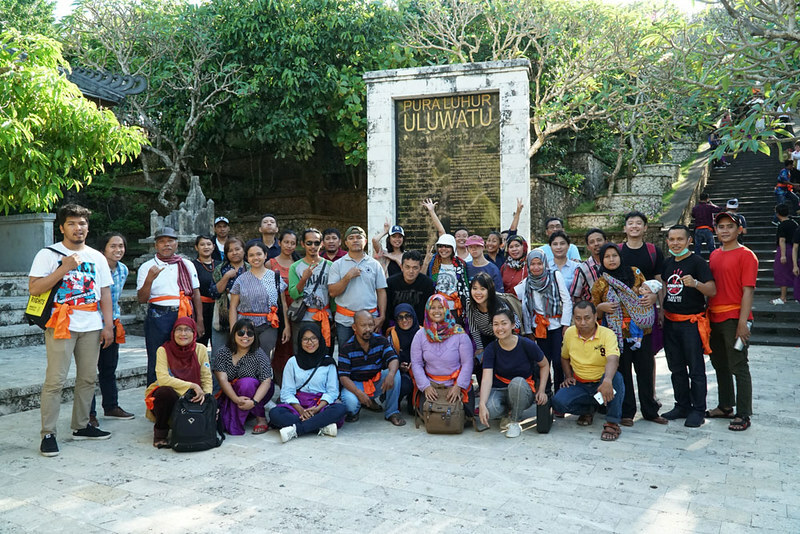 For some participants, it would have been their first time to be in Bali. The location needed to be something representative of Bali and Balinese culture, while still being interesting to those who have been there before. Since many locations required some travel and a bit of walking, we considered how strenuous it would be for our older participants. In the end, we decided to visit Uluwatu Temple and have a sunset dinner by the beach in Jimbaran. Second is that we adopted an open space methodology when it came to designing the agenda. We intended to create a space where the participants were not simply passive recipients of new knowledge. We wanted everyone to see each other as a source of inspiration, someone they can learn from. They did not need to always turn to outside experts for new ideas and solutions. They have each other. Similar with the Voice Inclusion Innovation Indaba and EngageMedia's Coconet Digital Rights Camp, we relied on participants to create the agenda together as a community. They were able to propose ideas for breakout sessions, pitch what it will be about, and vote with their feet on which session they want to participate in. Starting with the L&L kick-off event last November, we asked participants on multiple occasions what is it they expected and want to learn from the event. More importantly, we also asked what experience, knowledge, and expertise can they share with their fellow participants. Their responses were analysed to identify what were the most commonly mentioned. Participants who could respond to others' needs were encouraged beforehand to propose a session on those topics. There were no pre-determined format leading quite varied and diverse sessions. There were hands-on sessions on shooting and editing videos. There was a small-group discussion on HIV/AIDS. There were demonstrations on basic introductions and the alphabet using Indonesian sign language. Some participants even proposed completely new sessions as collaborations between them and someone with similar ideas. Space was also available for participants to organize sessions at night. A couple of participants organized a film screening on the living conditions of women market porters followed by questions and answers. Others continued or re-did their sessions from the previous days for those who were not able to join. Partly inspired by the regional workshops on Inclusive Ways of Working, we also wanted to instil the concepts of inclusion and intersectionality in all participants. There were plenary sessions that responded to specific topics a majority of participants requested. Other plenary sessions however, focused on the experiences of a specific target group not as well represented in the current grantees. Presenters and facilitators were asked to present their topic in way that encourages others to see the intersectional nature of discrimination and what solidarity can mean to them. We were lucky enough that our overall facilitator, Ani Himawati, understood immediately what we wanted to do for the whole event. She was open to different ideas and flexible to the changing dynamics as the event progressed. She invited anyone to lead icebreakers and energizers in between open and plenary sessions. There were lots of dancing involved, one of which Morgan led. His mother, Dewi, said that was the fastest she's seen him become comfortable with a large group of people. On the last day, a participant nicely summarized the feeling that we were all aiming. He said he felt "there was no gap between us and the facilitator. We were all facilitators." It was the last day and Oyok from PPSW Pasoendan was going to share her closing words. She held the mic in her hand, said one word and stopped. I could faintly hear a sound and that’s when I realized she was trying to hold back her tears. When she was able to speak, I was surprised. She said, it was the first time she felt included since becoming a mother. We always joked that the L&L event had 38 and a half participants because Oyok brought her 3-month old son, Azka. She said that she was very worried about coming to Bali because she had to bring her son. She was worried that she would not be able to participate or even worse, they would be disrupting the proceedings. I was surprised because I didn't even realize that it was a concern. I saw everyone taking turns watching over or carrying Azka. No one complained or mentioned anything to us about being disrupted. Nobody minded at all. No matter how much planning we do, determining every detail, luck definitely played a role. We were lucky that everyone immediately took to taking of Azka nor did he even cry during any session. We were lucky enough that everyone was welcoming to each other, no matter their age, background, or ability. We were lucky enough that everyone wanted to participate and were open to learning from each other. We were lucky enough that there was a good balance between genders and ages. A couple of older participants even remarked that there were younger participants present. They were used seeing the same faces every time they attended events and were glad to see a new generation taking up their causes. As much as we were touched by the kind words people said at the end, we know we could always do a better job of being even more inclusive. We realized that some of our energizers required active movement and listening to music. We neglected to find out how our deaf participants felt during those moments. We took it too lightly that none of the participants had mobility impairments as many of the spontaneously initiated group activities would have been exclusionary. Yet, to do better, to be more inclusive, luck needs to be playing an even smaller role. We could do better in spontaneity by trying behave more thoughtfully. Inclusion requires us to be intentional in what we do and how we work. If we truly want to leave no one behind then luck needs to be increasingly excluded from our equation of success.